HCM City (VNA) – Vietnamese small and medium enterprises (SMEs) should get access to factoring service (Accounts Receivable Finance) - one of the most favoured tools in the international trade, to increase their competitive capacity. Kyle Kelhofer, Country Director of Vietnam, Cambodia and Laos at the International Financial Corporation (IFC) made the remark at a conference held in Ho Chi Minh City on May 10. He said that factoring service is designed to bring utmost benefits to international trade by using tools to eliminate risks and create liquidity, which promotes trade between importers and exporters. It also helps ease much of the credit burden created by international business while avoiding language barriers during transactions with foreign partners, he highlighted, adding that factoring also serves as a useful tool for the enterprises due to its deferred payment terms. However, he said that sale of factoring service in Vietnam is still weaker than regional nations such as Indonesia, Malaysia, Singapore and Thailand. According to PhD Tran Thi Hong Hanh, General Secretary of the Vietnam Banks Association, numerous SMEs worldwide said that factoring service provides them a quick boost to their cash flow, contributing to creating a sustainable business environment for both sellers and buyers. 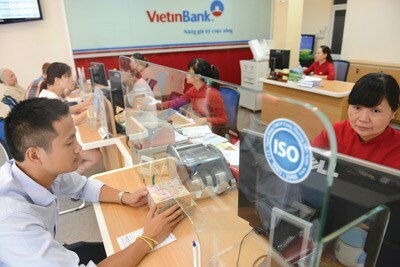 She underscored that Vietnamese enterprises need to study and use modern financial products like factoring service to improve their operations and take advantage of cross-border business to expand connections with foreign partners.